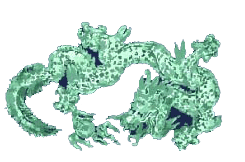 Categories: Singing Bowls, Rare & Exotic Tibetan Bowls. 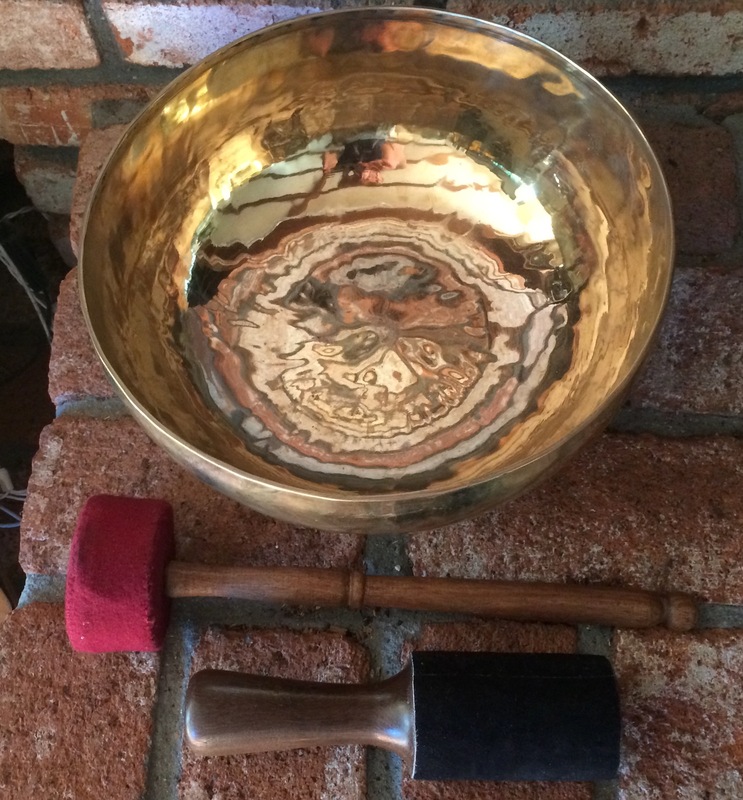 Tags: Antique Singing Bowl, Healing Singing Bowl, Tibetan Singing Bowl, Very Old Singing Bowl. 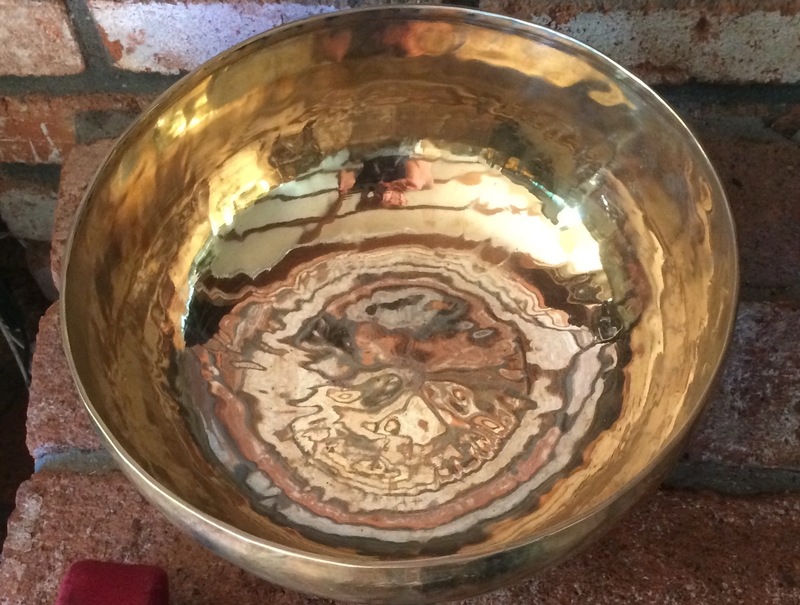 This Tibetan Singing Bowl’s beauty is not only skin deep. It has a very blissful and profound transformational sound. It plays as beautiful as it looks. Please check out video below. 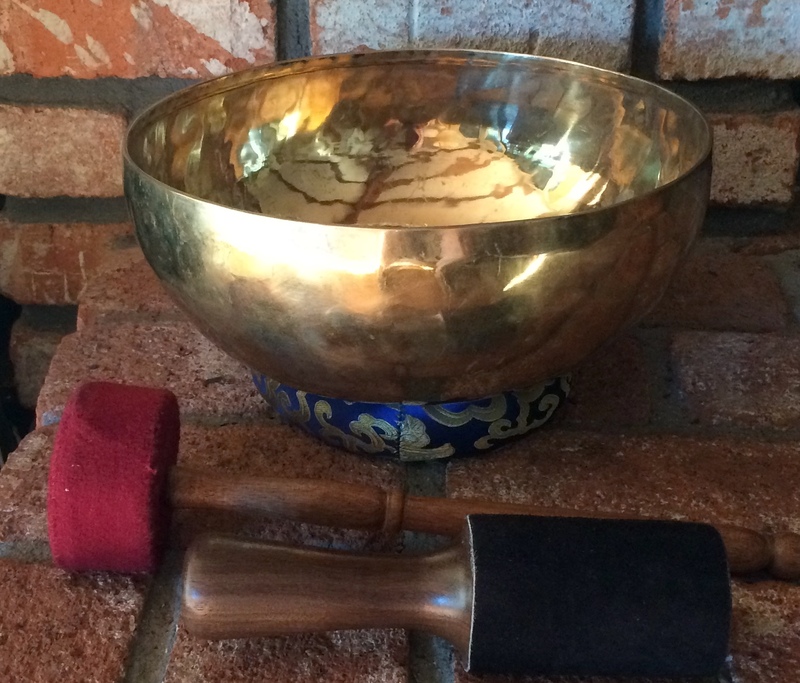 The Singing Bowl comes with a two special playing mallets. 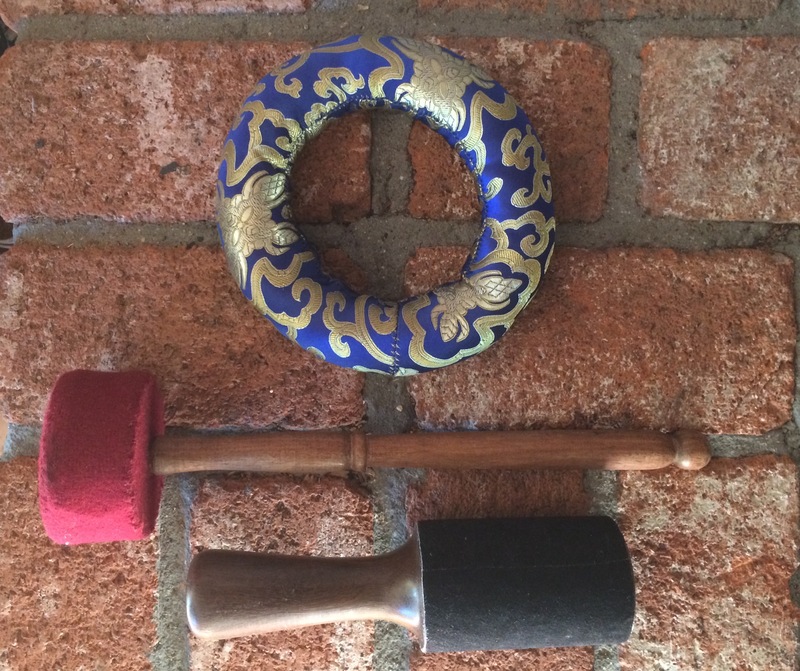 The hardwood Playing Mallet is suede wrapped for playing around the rim. I will also give you a percussion “Bonger” to bring out deeper sounds. 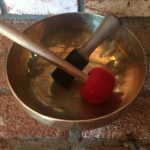 This gives you two ways to play your Singing Bowl for a variety of Meditative and Healing sounds. Bowl measures 11.5″ across and about 5″ deep. 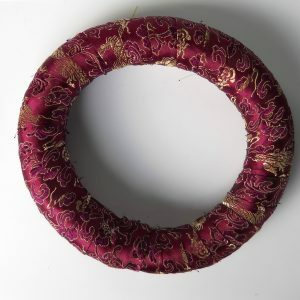 Comes with beautiful silk cushion to set your bowl on. Weight is a almost 5.5 pounds. 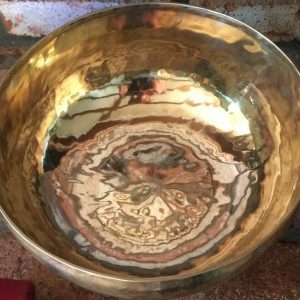 Enjoy transformation meditative healing sound with this bowl! There are a lot of Singing Bowls on ebay and we understand how hard it is to choose. Our guarantee is that this will be an outstanding and exceptionally good sounding Singing Bowl. It was carefully chosen and played by me for you. 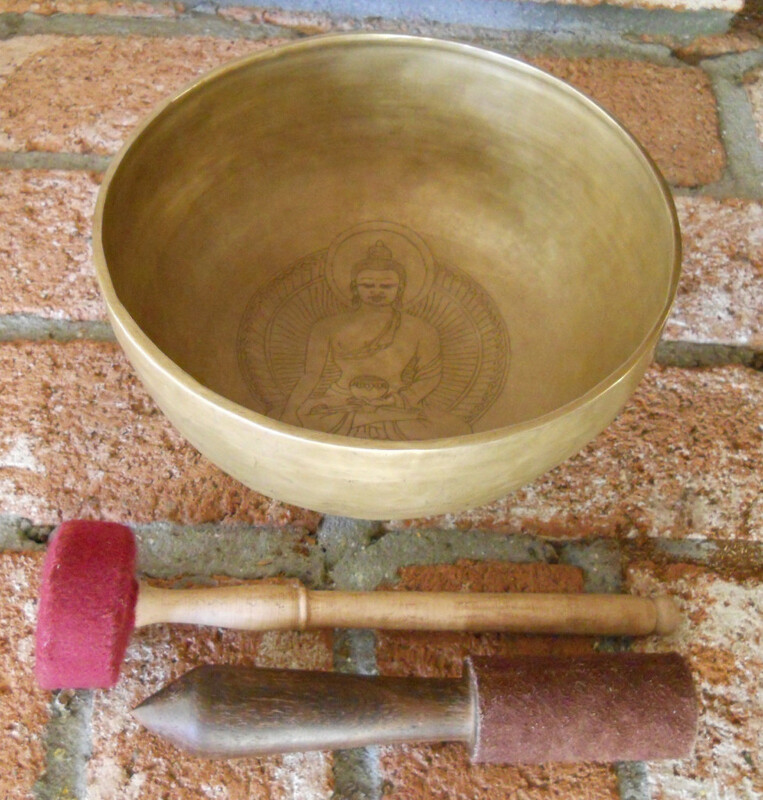 I want these beautiful Singing Bowls to go to the right people who will benefit all sentient beings with their vibration. These Singing Bowls may cost a little more then your average eBay Singing Bowl because our cost are quite high for this quality and it’s worth it! INTERNATIONAL BUYERS PLEASE NOTE: We are not responsible for Customs Duties from International Buyers. Buyer must pay customs duties if any are levied on purchase. Check with your local Customs Departments before order if you have any questions.